What more can be said about Richter than has already been said many times over, in these pages and elsewhere? 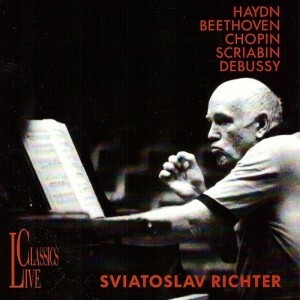 – especially his Beethoven sonatas: every recording has been endlessly discussed and analysed. These performances were recorded in 1991 and 1994 in excellent sound. They have all of the characteristics that ennobled his earlier recordings of these pieces: assurance, spontaneity, phrasing as natural as breathing, infinitely subtle and varied gradations of tone and tempo, in a conception of the whole that is utterly convincing. His tempos seemed to get a little slower and his interpretations deeper as he aged, and I am tempted to say that these are his best recordings of this music, but since I say that about every time I listen to any of the others, you will have to judge for yourself. 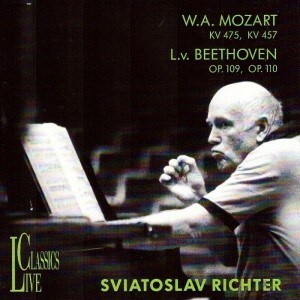 For many, Sviatoslav Richter was unmatched in the music of Beethoven. 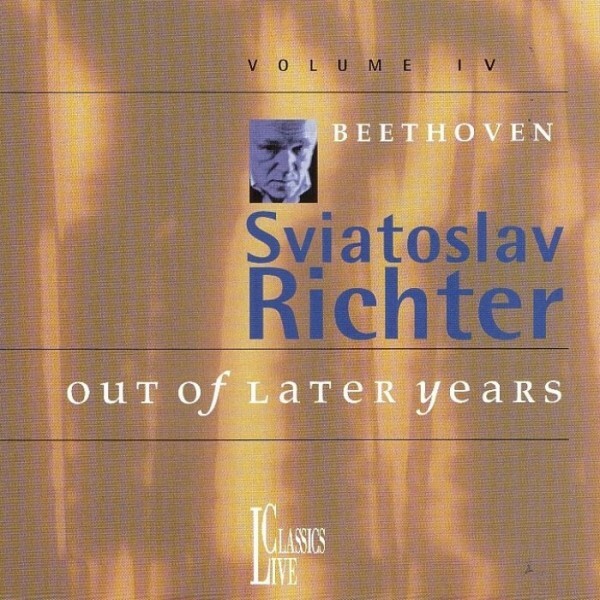 This series from Live Classics “Out of Later Years” is in its fourth volume with this release. 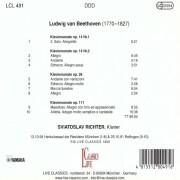 These digital recordings were made in 1991 and 1993. The Opus 111 sonata is so extraordinary that it will come as a revelation no matter how many performances of this work one has heard. A must for Richter fans.